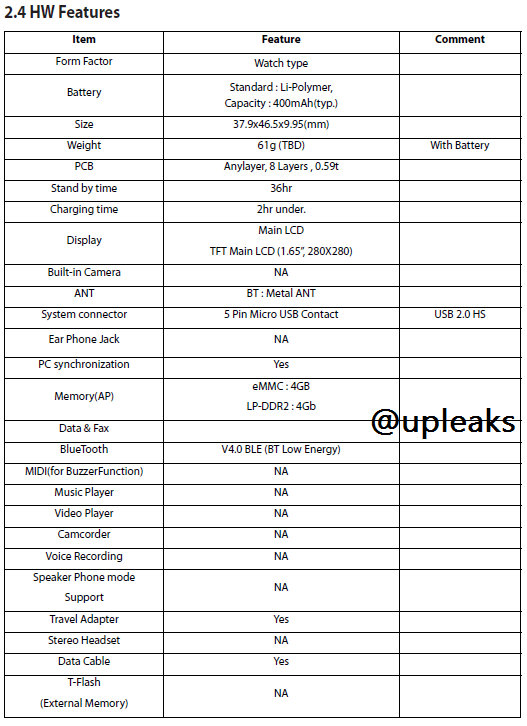 LG G Watch (W100) specifications have been leaked on Twitter. As expected, it will come with Android Wear operating system and has a 1.65 inch touchscreen with a resolution of 280 x 280 pixels. 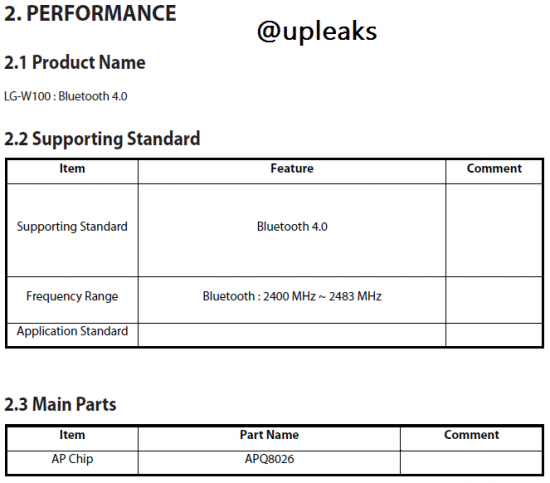 It will be powered by an unnamed Qualcomm processor (APQ8026) along with 4GB of internal storage and Bluetooth 4.0 connectivity. It needs to be seen how it competes with the Motorola Moto 360 which comes with a circular screen and Android Wear operating system.